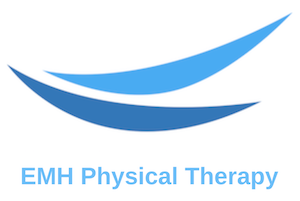 Isha Mody is a compassionate physical therapist, corrective exercise specialist and certified in the method of Revolution in Motion. She graduated with a Bachelor’s degree in Physical Therapy from Manipal University in India. In May 2019, she’ll receive her Master’s degree in Exercise Science with a focus on Nutrition from Long Island University in Brooklyn. Her experience includes providing physical therapy to the under-served in India, working in a hospital setting treating a wide range of orthopedic, neuro and cardiopulmonary patients. Isha has helped pregnant women prepare for delivery, taught prenatal exercise classes and treated women postpartum. She has a keen interest in the pelvic floor, spine, manual therapies, movement and nutrition and integrates these as part of her comprehensive approach to patients. Isha enjoys biking through Prospect Park, watching documentaries, going to Comedy Clubs and exploring NYC’s culturally diverse vegetarian cuisines. She considers herself an experimental baker and loves to read. She is proficient in 3 Indian languages and is currently learning Spanish.